Click here to access the Summer Programs Health & Emergency Form for 2019. Click on the link below to open up a PDF with camp information. 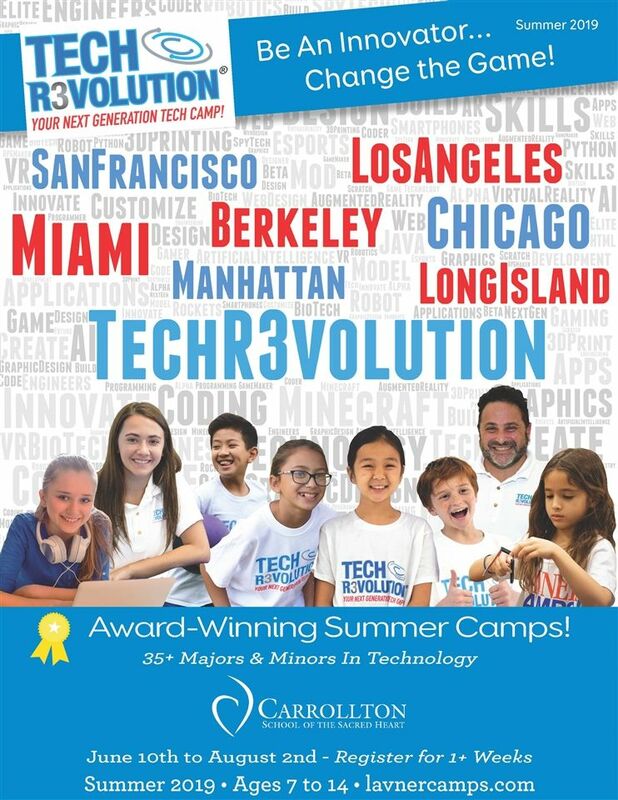 We are proud to host Rose Music Performing Arts Camp and Camp Tech Revolution at Carrollton this summer. Please click on the images to learn more about their programs. If you have questions about Carrollton’s Summer Programs please contact our office.